Alfred Escher was the initiator of the first project of the Gotthard railway . His personal history and the history of modern and liberal Switzerland overlap . Escher worked on the Gotthard project almost to death . In 1880 , during the opening for the finished tunnel , he was not invited. From the model of his statue , created by Richard Kissling eight years after his death for the square of the Zurich Central Station , remains today only the bust . A legend says that the rest of the body was thrown into the lake of Zurich after the artist’s death. 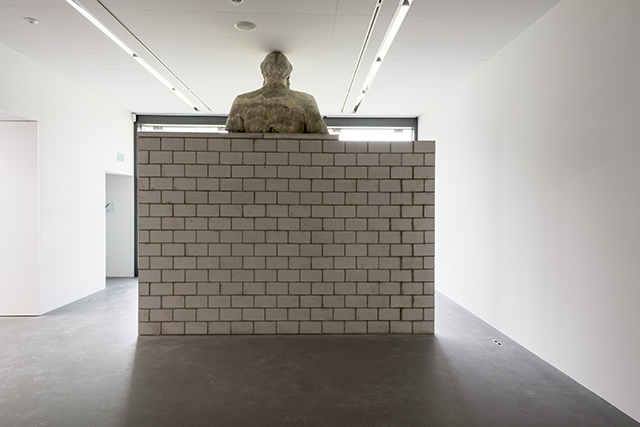 In one of the stores of the city , I found fortuitously located the bust of Escher that was touching the ceiling , held up by a concrete structure . 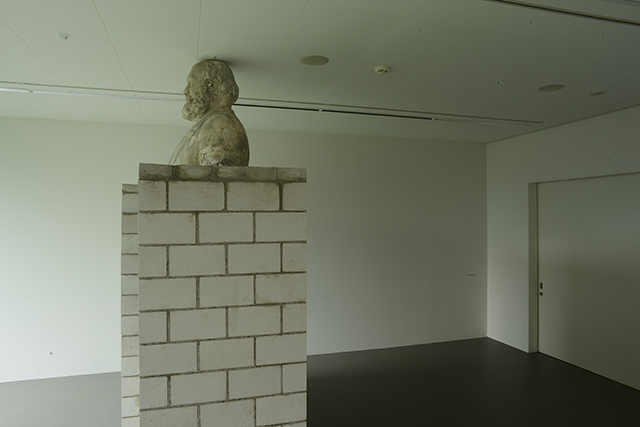 The design of the same wall , reproduced inside the Haus Für Kunst Uri , and the same bust of Escher retrace the time and the relationship between that sculpture and the ceiling .